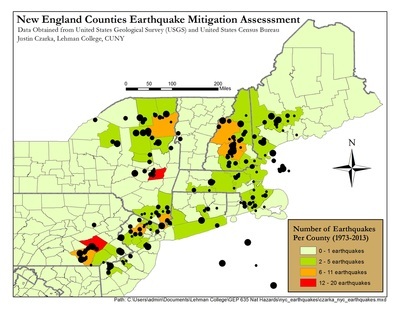 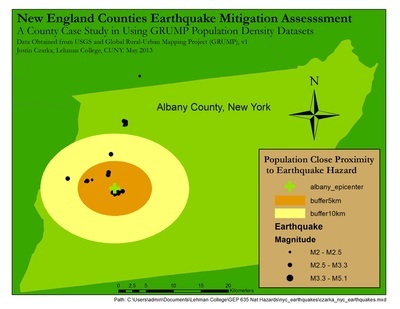 The project utilized ArcMap to compare U.S. Census and Global Rural-Urban Mapping Project (GRUMP) datasets to determine: a) local areas most at risk for earthquakes in New England (USA); and b) future allocations of risk mitigation funding. Download the Earthquake Hazard Mitigation Powerpoint presentation. This presentation was initially presented at CUNY Lehman College in May 2013. 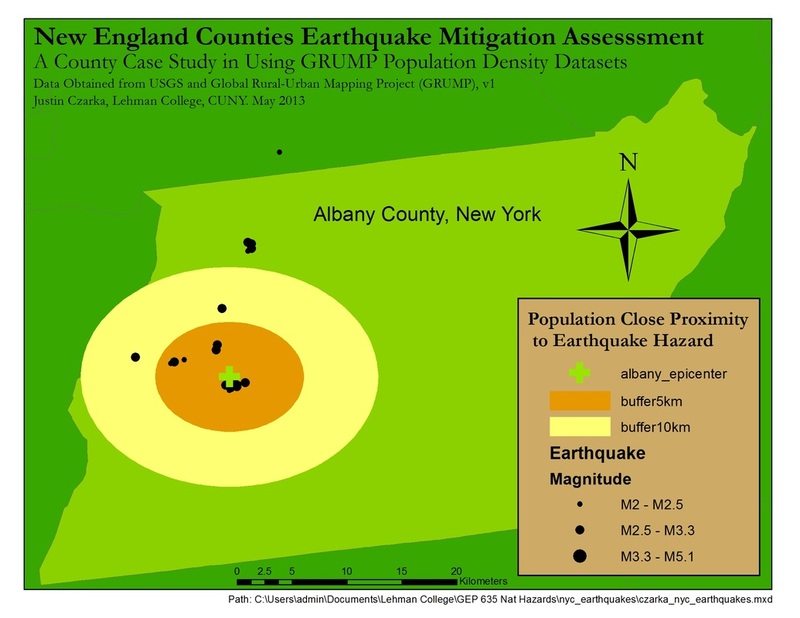 The primary map outputs compare the spatial analysis of U.S. Census and GRUMP datasets. 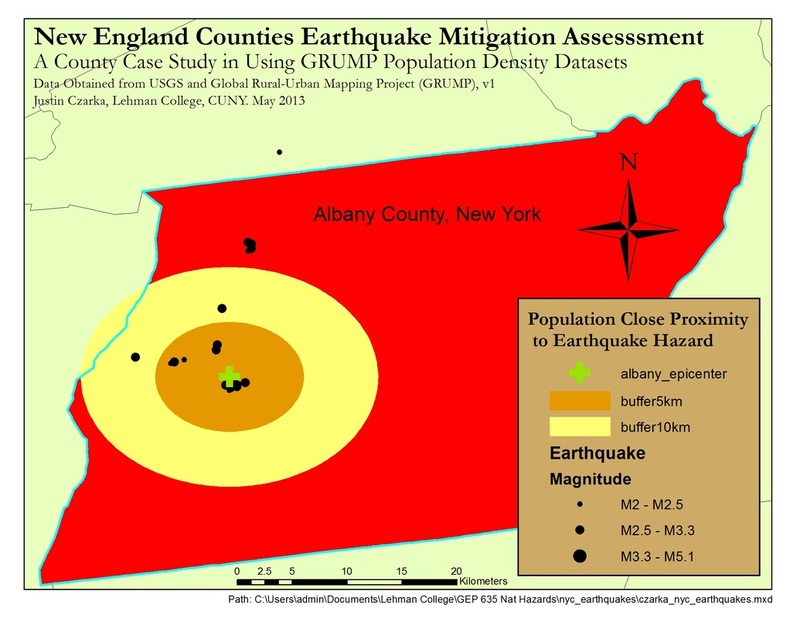 Return to Justin's main Mapping Projects page.